Your customers use their mobile devices to find the information they want, as soon as they want it. But they aren’t finding it with the web browsers on their phones—that takes too much time, especially on the go. Instead, they depend on the instant accessibility of mobile apps to quickly tell them what they need to know, so they can get on with what they’re doing. Just think about how you use your mobile device to access information. 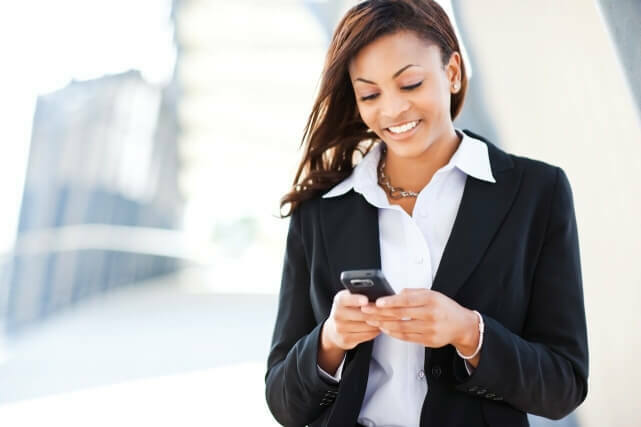 Smart business owners understand the power and importance of mobile marketing to their bottom line. They use Mobile Marketing Solutions (e.g., apps, qr codes, sms/texting and mobile adaptive websites) to connect with customers, share relevant news, offer great deals, increase foot traffic, take reservations, and boost their revenues. Whether they deliver a service, sell products in a store, or run a successful restaurant, they know that having a mobile app is one of the most effective ways to reach customers on the go. As a smart marketer, you know you need a Mobile Marketing Solutions to compete. You just don’t want to pay thousands of dollars for the development, programming, and hosting costs associated with it. At Afana Enterprises, we enable any business to acquire beautiful mobile applications and mobile adaptive websites without any programming knowledge needed—all at a fraction of the cost you would expect to pay elsewhere. In just a few days, your app can be up and running on the iPhones, iPads, and Android devices of your customers, prospects, and all of their friends. And you can start bringing in business like you never imagined, easily reaching those customers that are looking for you. Our Mission: Providing small to medium size business owners the ability to leverage the power of Mobile Marketing Solutions to assist in their fostering professional solution-based relationships with new and existing customers.